Photo by David F. MorrillAs of June 30, the Class of 1983 added another record to its storied history. 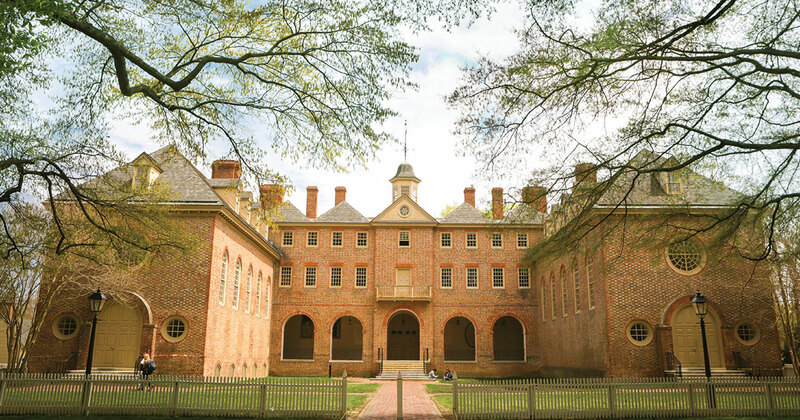 Members of the class contributed more than $5.2 million in gifts and pledges to the Law School on the occasion of their 35th Reunion—the highest amount ever raised by a reunion class. The class previously set giving records for 20th, 25th, and 30th reunions. There was a central place in the Wolf Law Library, its staircase, that was in want of a name and the class responded generously by dedicating the gift to fill that gap. 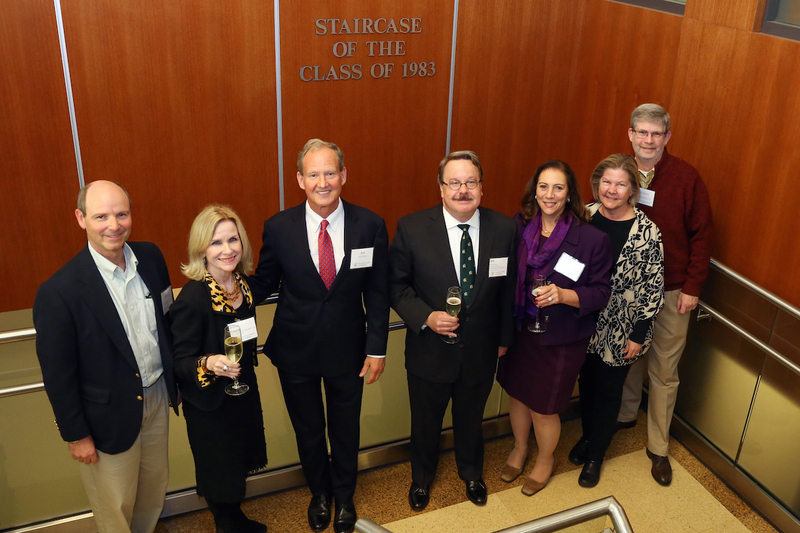 On the evening of November 9, a small contingent of the class gathered with other alumni and friends, Dean Davison M. Douglas, and school staff to formally dedicate the Class of 1983 Staircase. Dean Douglas expressed his gratitude for the class’s generosity and noted its enthusiasm for reunion giving. The class funded a beautiful trophy that goes each year to the reunion class that has achieved gifts and pledges exceeding a benchmark amount set in 2003. The Class of 1983, he wryly observed, has now won the trophy four times. It is known as the Reveley Cup in honor of former Dean and William & Mary President Emeritus Taylor Reveley and is on display in the Law School lobby. Joyce A. Kuhns, Vice President of the Marshall-Wythe School of Law Foundation Board, was a featured speaker during the event and recognized the members of the 35th Reunion Committee in attendance, which included Lauren A. Ferrari, Charles and Sara O’Hara, James A. Penny, James D. Penney, and Bruce Glendening. Kuhns hailed her classmates as “true record- breakers and leaders in giving.” In addition, she said, “through some piece of fortuitous serendipity” those leaders included two men with sound-alike names—Jim Penney and Jim Penny. The duo, and their spouses, she said, had each made transformative gifts of $1 million to the Law School during the university’s For the Bold campaign. In recognition of their generosity, two spaces in the school’s Hixon Center now bear their names: the James D. and Pamela J. Penny Commons and the James A. Penney and LauraLeigh Young Courtroom. Later, when proposing a toast, Jim Penny spoke proudly about his classmates’ distinction as the first 1Ls to take classes in Marshall-Wythe’s South Henry Street building. Penny serves as Campaign Chair for the Law School. He enumerated the class's previous reunion gifts that have memorialized the contributions of Dean William Spong through the naming of a classroom in his honor, the creation of the Class of 1983 Spong Scholarship, and funding towards the Spong Citizen-Lawyer Center.